Amy Wibowo's pink, git-themed t-shirts and jackets don't hold back. "Because femmes belong in tech. Because femininity is not antithetical to engineering and logic," the shop proclaims. In any other context, their candy-sweet aesthetic would appear demure or innocent. In tech, though, the overt femininity of the clothes is bold and defiant. Wibowo is the founder and author of BubbleSort Zines, a Kickstarter-backed venture to explain technical topics with accessible illustrations. The zines – like "How Does The Internet" – are playful and charming. Although they were originally intended for high school girls, Wibowo's loud, femme-empowered brand has found a wide audience. Lorrie Cranor is the Chief Technologist of the Federal Trade Commission, a professor of computer science at CMU, and the designer of a famous series of "bad password" fabrics. 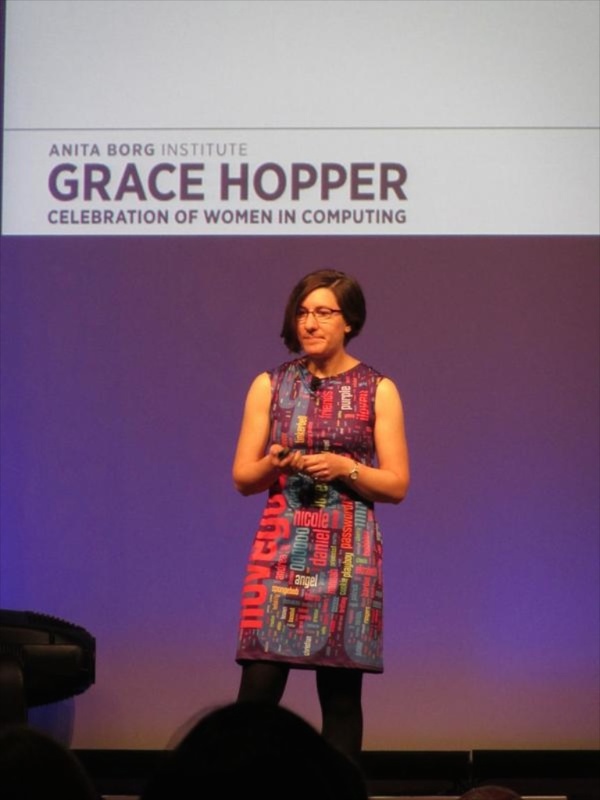 Dr. Cranor has worn the fabric to the Grace Hopper conference and "a couple of briefings I gave to Congressional staff on Capitol Hill." Amanda Rousseau — a well-known malware researcher — designed and produced a malware-themed dress. Rousseau designed and ordered fabric with a malware disassembly theme, and then sewed the dress for herself.